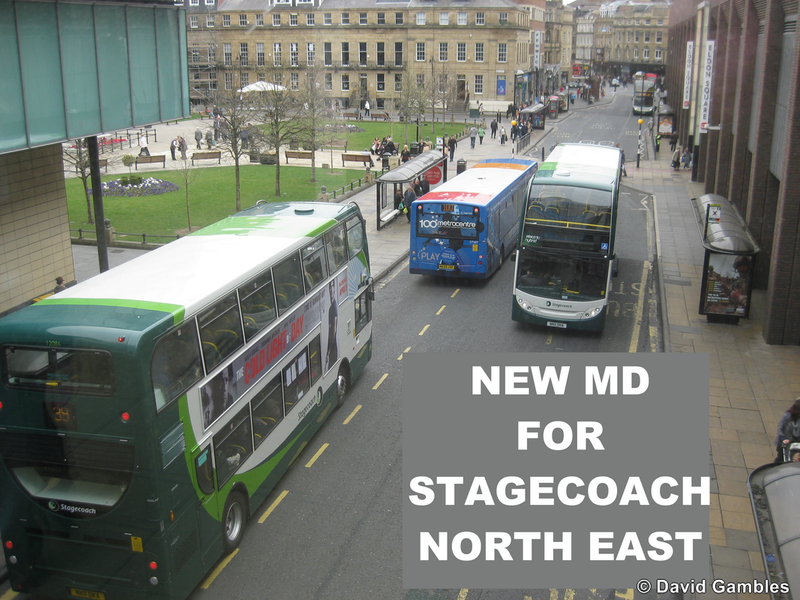 Stagecoach North East Managing Director John Conroy has announced his intention to retire at the end of June. He will be replaced by Phil Medlicott, current Managing Director, Stagecoach South East, who will begin a month-long handover on 1 June 2012. Also, from 1 June, Helen Martin, currently Marketing Manager at Stagecoach South and Stagecoach South East, will become Marketing Manager, Stagecoach North East. Stagecoach UK Bus Commercial Manager Paul Southgate will become Managing Director, Stagecoach South East, effective from 1 June, replacing Phil Medlicott. Current Stagecoach North East Marketing Manager Jodine Milne has been appointed to a newly-created role of Stagecoach UK Bus Marketing Manager, effective from 1 May. Focus Comment. We recently reported that bus growth in East Kent has been boosted by a strong partnership between Stagecoach and Kent County Council. 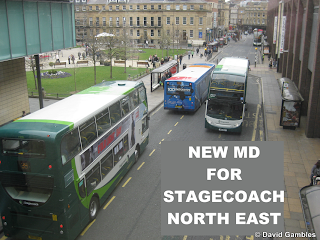 It is interesting therefore, to see that the successful team of MD and Marketing manager will both be transferring from Kent to the North East at a time when relations between Stagecoach and ITA are somewhat strained, following the announcement that the ITA want to look at taking control of all services within Tyne & Wear via a Quality Contract.